Occasionally we may have groups booked that will impact these open bowling hours. 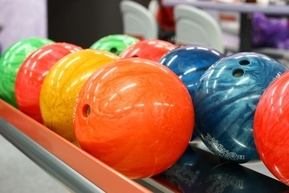 Please call 201-391-3400 for the latest open bowling hours. Free game coupons can be used year round. Keep an eye out for new specials that will be posted regularly. Seniors, come try out our Senior League on Wednesday afternoons from Noon until about 3:00 pm. The age is 50 and over and the cost is only $6.25 per week. Can't make it every Wednesday? That's ok because it is strictly a weekly event, not cumulative over a season. This is a year round special for our Seniors!